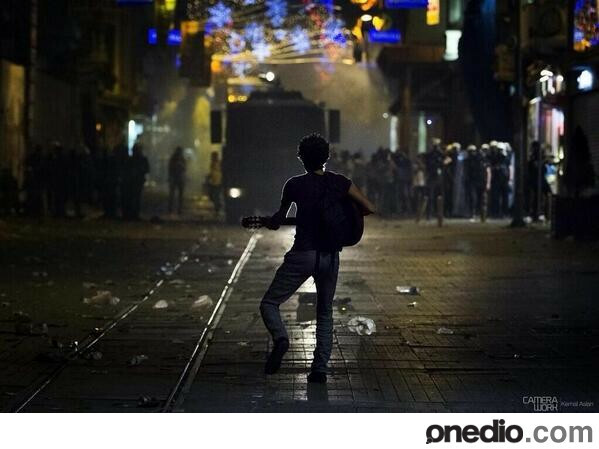 A Turkish activist dancing in Istanbul in front of the riot police. As many of you know, our goal in spending these 5 months here at the farm in Italy is not just planting the fields or helping out Fede’s folks. While those are absolutely worthy goals, we aspire also to be laying the foundation for a peace and social justice center tied to community healing and agriculture. We want to gather folks into a grounded, supportive community and stimulate their intellectual, spiritual and physical growth through putting them to cooperative work and engaging them in intercultural discussions. Even if that mouthful starts to roll off your tongue more easily in a second language, how do you know you’re actually making progress on it or whether you just sound quaint and random standing among droopy melon sprouts? Right now, folks are taking to the streets in Turkey. I didn’t even hear about it until my mom called to check in. I feel really torn between the day to day distractions of the work here at the farm and the part of me that really cares about what my friends are struggling for in Turkey. That’s what my work should all be about! Cultivating freedom! Supporting strong communities of resistance! Healing the downpressed! I’ve watched the current ruling Ak party take over a country struggling with extreme inflation and widespread apathy and I’ve watched it clamp down on public expression, play all its allies off each other, and now spill the blood of its people in the street. The plasticized Italian news ladies seem completely absurd as they show brief clips of Turkish cops beating folks and young Turks “organizing the revolution through Facebook.” I feel connected but also very apart from what’s going on there. This party took away the only check and balance Turkey had, the military, and now the people are aspiring to a coup d’etat of their own! Can they do it? I don’t know and my work is here right now, but as I nuzzle a goat or pull a dead machine out of a field today a part of my heart is the streets of Istanbul. I stood today on a mountain, at least an hour further up the valley from here, beside a small, rustic marker memorializing a battle between the local “partigiani“(partisans) against the “nazi-fascist invaders” in 1944. I looked out over forests and farmland for miles and miles. 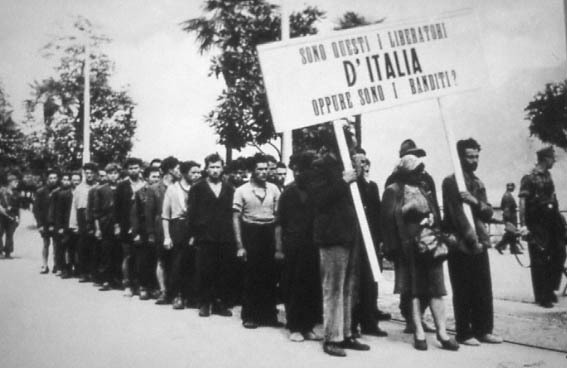 Those Nazi-Facist invaders were the ruling government at the time, but in these hills and valleys a group of people decided to fight in favor of a different kind of country. Rome seems almost as far away as DC or Ankara up there, and it’s even more beautiful for the difference. Politicians in their hallowed halls never seem remember the beauty of countryside, invariably selling their souls to ideals that lose all meaning in hands of God peddlers, capitalists and a population tied to the trough. My calling is to learn how to help folks resist in a way that’s just, that’s effective, that is both grounded in its community and that transcends all false definitions of God and Country, no matter where they are sold. Wow! Great words, Evan, great spirit! Yes, we are all connected, and it seems to me there is a strong link between connection to nature, the soil, the source of our food and the capacity to resist doctrinal oppression and perhaps even awaken those who have fallen into the miasma that would allow wealth and power to trump our shared humanity. Perhaps a rehabilitation farm for politicians and billionaires! Sometimes a moment and our spirit comes together in incredibly inspirational ways. I am inspired by the clarity of thought and purpose that come together for you, and by the power in the words you have shared here. Thanks for this uplifting moment. Thank you both, Tina and Gordon, for your encouragement. I do feel inspired by working hard and seeing the fruits of my labor with the blessings of creation blossom before my eyes. While I’m not sure yet if I’m called to share the experience especially with billionaires, I think we all can use opportunities to get grounded.